Everyone knows about the recent article that came out that exposed a ton of issues within the Green Bay Packers organization, most notably those between Aaron Rodgers and Mike McCarthy when he was still the head coach. In what seems like an ode to what we once had, living vicariously through a well-written piece that detailed the ins and outs of what happened behind the scenes is a great account to help fans understand that Green Bay is not even close to as perfect of an organization as once thought. Being the lone publicly-owned franchise in the NFL has given the Packers a pass in having one lone person be the accountable individual for areas such as running the organization. While Mark Murphy is the team’s president and serves on the best interests of the board, he truly is more of a business head rather than someone fit to be the head of a professional sports team. With no team owner, the general manager takes on much more responsibility than most GM’s do, but when Ted Thompson was the GM, a lot of those responsibilities were ignored and forgotten, helping foster all of the behind-the-scenes hoopla that fans had no clue about until this past week. Thompson was a large part of the problem, who did not concern himself with accountability and simply relied on his laurels and scouting repertoire to run the team, eventually burying himself with his lack of actions. While only a smaller section of the article mentioned issues directly tied to Thompson, he was a much larger issue than let on, which the Packer fan base is not surprised by in the least. Airing out these grievances in a public manner is not necessarily the best way to do it, but it does help with one aspect: it puts everyone on the same page because most things have now been revealed. With McCarthy finally out of the picture, the team can look to move past his shortcomings and issues and look ahead to the greener pastures that lie ahead for this season. While Rodgers has always been seen in a bit of a negative light due to his previously-mentioned family and teammate issues, he is not the biggest issue in this situation, although he has the most power to rectify this whole ordeal and make it a thing of the past. Rodgers has never been a perfect teammate, but it is hard to say that any player in the history of any professional sport has. Every player has their intricacies, as they should, and they have specific ways that things should be conducted, especially team matters. While Rodgers is definitely on a higher pedestal due to his superstar status and his contract and can be looked at in a negative light for these reasons, he also has that much more power to make things right. 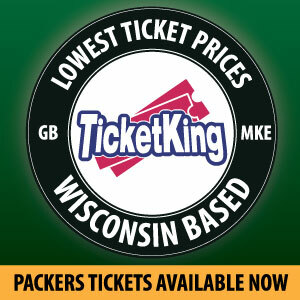 This team needs to move past it and move past it now, because they are ushering in a new era in Titletown. Head coach Matt LaFleur, who is going into his first head coaching situation in his career, needs to get this team onto a fresh page and not looking back at their past. Getting both Rodgers and LaFleur on the same page from the get-go will be the single most important facet of how this team should be ran from here on out. Rodgers is what makes this team click, and if LaFleur was smart, he would lay down ground rules right away in terms of what Rodgers can and cannot/should not take the lead on. 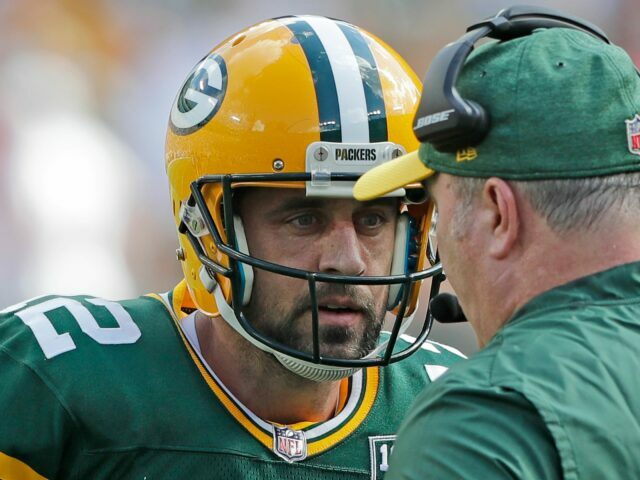 With the dinosaur-like innovation that McCarthy showed in his playcalling, Rodgers regularly changed plays at the line and in the huddle to actually give the team a fighting chance. Because LaFleur comes in as one of the league’s young and better up-and-coming offensive minds, the thought is that Rodgers should have to do less to get more, meaning that play calls should not need to be changed as frequently as it used to be, a refreshing aspect. For this team to move forward, it really is plain and simple: get Rodgers to buy in. Obviously Rodgers has bought into the franchise in general due to him re-upping his deal recently, but to have Rodgers buy into what the team is becoming and their potential is going to define how successful/disappointing 2019 is. Other aspects, like presenting LaFleur with enough professional resources to make sure he does not become overwhelmed in his first year, getting LaFleur to become comfortable enough to speak out and overrule Rodgers when necessary and to get both the offense and defense up to similar standards in terms of play, are necessary to happen if this team wants to end its brief playoff drought. The NFL is becoming more and more difficult by the year, and the Packers need to adapt to the pace. By pairing one of the league’s best-ever quarterbacks with a young, budding offensive mind, the Green Bay Packers have the pieces in place to become successful yet again. This entry was posted in Mike Johrendt, Packers 2018-2019 Season and tagged Aaron Rodgers, Brian Gutekunst, Green Bay Packers, Matt LaFleur, mike mccarthy, ted thompson. Bookmark the permalink.